ERIN TRAHAN is an arts reporter, critic, and educator specializing in independent film. 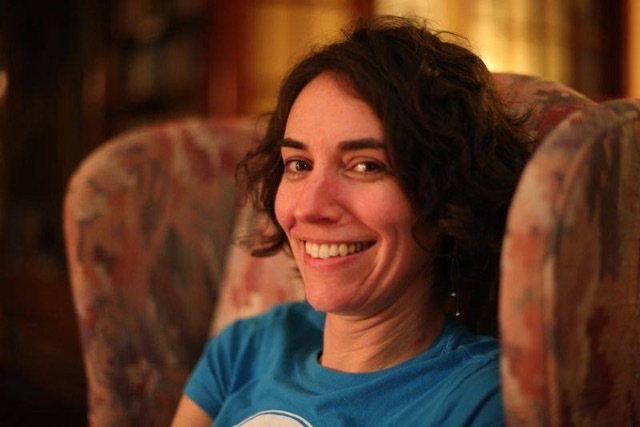 She has been a regular contributor to WBUR (Boston’s NPR news station) and the ARTery since 2013 and has also written for The Boston Globe, MovieMaker Magazine, Women’s Review of Books, and The Independent, where she served as editor from 2009 to 2016. As faculty at Emerson College, she teaches a course on film and TV journalism. She has co-authored nine Frommer’s Guides (on Montreal, Quebec City, Boston, and their surrounds) and has created adult education classes that travel to film festivals, including to Montreal. As a keen believer in public dialogue, she often moderates post-film panels and leads on-stage interviews with directors. On her more literary days, she writes essays and poems and for many years read poetry submissions for AGNI. She earned a BA from the University of Notre Dame and an MFA in poetry from Bennington College. She lives with her family on Boston’s North Shore. If you run into her one day, she’ll show you where she grew up in Michigan by pointing to the back of her hand.